Ever wondered what is the difference between a normal garden and an ecological garden? An ecological garden is an area comprised entirely of edible plants. This means that it is a source of food for the garden owner. However, it is made in such a way that it almost exactly matches a natural ecosystem. 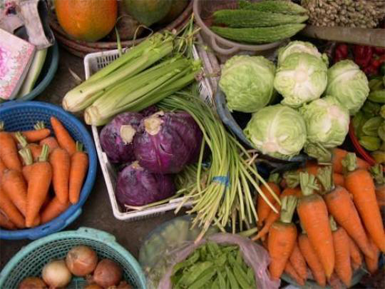 In this regard, it is completely different from food obtained from a farm and is more on the natural side. Although this may seem like a difficult task, it is in fact, quite easy as once the initial setup has been established, the garden will sustain itself requiring little additional assistance. You will not need to slave on it like a farm and it will still provide enough for your family. Mimicking Nature In a natural system or habitat, all the work is done by itself. Nature has a pattern which it follows every year and this allows the plant life to grow and sustain itself without any external interference. A similar concept is to be used in an ecological garden. 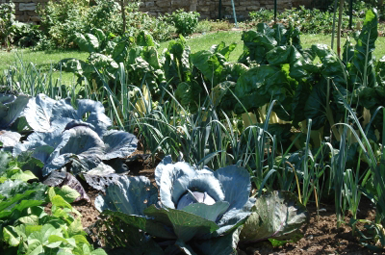 Ecological gardening involves having many different plant components together in a small space. The space is utilized such that each plant has a specific role to play which is its unique niche and there is no space or niche left. This means having a diverse plant growth in one space with no spaces in between. The purpose of having tightly grown plants is to ensure that there is no space for weeds to grow as they would just be a threat to your natural environment. The close growing plants also mutually benefit each other as they cannot be infested by pests or diseases which spread only within one specie. Also bigger plants can shelter and protect smaller ones. This is very unlike traditional farming where only a single type of plant is grown in one space and there is ample space left between the different plants. However, in farming, unlike ecological gardening, the purpose is to promote ease of planting and harvesting for commercial usage. An ecological garden is only for your personal use so large scale production is not the aim. Saving Thousands Although ecological gardening may seem expensive to set up and the initial time and cost spent on the garden may seem unworthy of the effort, such gardens are in fact, one of the greatest ways to save a lot of money. Once the garden has grown the correct way, it would require little sustenance from you so you will not be required to spend time on it. Secondly, the output of the ecological garden can be enough to feed a small family, saving thousands of dollars on food supplies. Finally, products of your ecological garden are also more healthy since they do not require pesticides, or fertilizers for growth and are 100% natural.